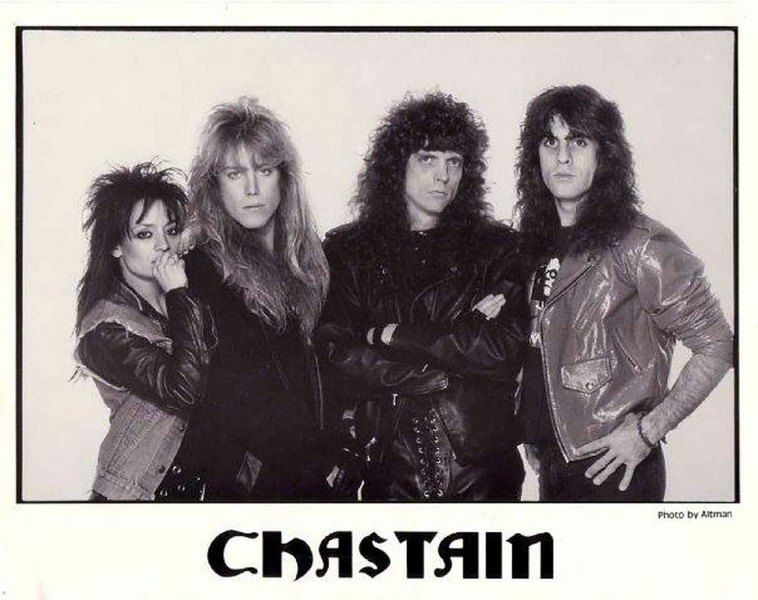 Chastain is a Power/heavy metal project formed in 1984 by guitarist David T. Chastain.The band was put together in 1984 by Mike Varney, president of Shrapnel Records for a David T. Chastain solo album. Varney had noticed the shred guitar ability of Chastain, member of the Cincinnati-based band CJSS and, at the same time, he wanted to create an output for the talent of young singer Leather Leone, formerly with the San Francisco band Rude Girl.The first band line-up included Leone, Chastain, CJSS bassist Mike Skimmerhorn and drummer Fred Coury, who would later play in Cinderella. In 1986, Chastain readily declared that "I could never work with these people on a full-time basis because they live all over the country (...). We just get together once a year, record an album and then go off and do our own things".In the case of Chastain, he wrote music for CJSS and his solo albums, as well as producing other artists and managing his own record label.Their debut album Mystery of Illusion was released worldwide in 1985, followed by Ruler of the Wasteland (1986) and The 7th of Never (1987). Drummer Ken Mary (Fifth Angel, TKO) replaced Coury from 1986 to 1988. The fourth album The Voice of the Cult was released in 1988. On 1990's For Those Who Dare, new virtuoso bass player David Harbour replaced Skimmerhorn and drummer John Luke Hebert replaced Mary, who went to play for Alice Cooper. Having put on hiatus CJSS to favour the more commercially successful Chastain, the band became also David T. Chastain main touring occupation, with a succession of world tours until 1991.After some years of quiescence, when David T. Chastain dedicated his time to other solo projects, in 1995 appeared Sick Society and in 1997 In Dementia, which were recorded with a new cast: Kate French on vocals, Kevin Kekes on bass and former Trouble member Dennis Lesh on drums.Until the appearance of the 2004 album, In an Outrage the band disappeared again. 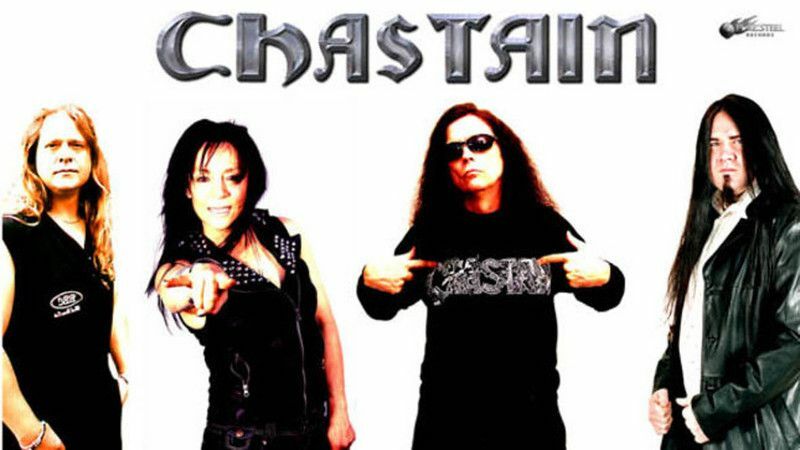 The line-up for this album, in addition to David Chastain and singer Kate French, saw also her husband, Larry Howe and Dave Starr (both ex-Vicious Rumors) on board. 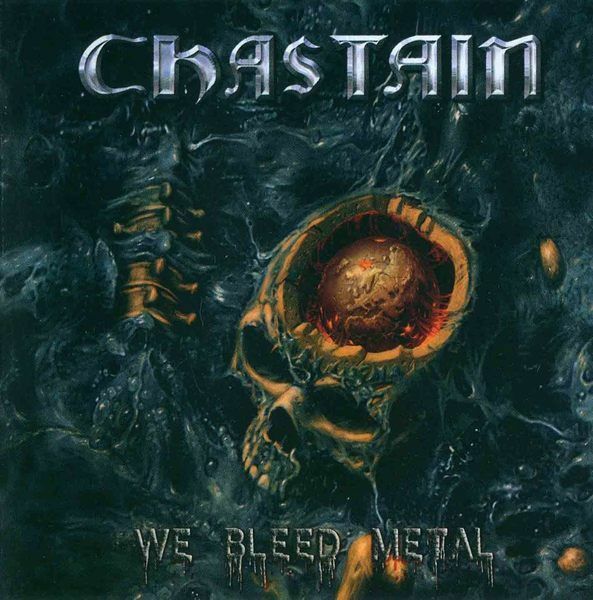 The new CHASTAIN album "We Bleed Metal" will be released worldwide on November 6. It will be made available on CD and vinyl as well as all digital formats. Guitarist David T. Chastain states: "This is a continuation of the 'Surrender To No One' sound with, hopefully, some improvements all the way around. [Singer] Leather [Leone] has never sounded better and I believe this is my most shredtastic CHASTAIN lead guitar playing since 'The 7th Of Never' era." Drummer Stian Kristoffersen (PAGAN'S MIND) and bassist Mike Skimmerhorn return once again to complete the lineup.The CHASTAIN albums "Surrender To No One" and "We Bleed Metal" will be released in vinyl format later in the year on Pure Steel Records.The CHASTAIN classic albums "The 7th Of Never" and "The Voice Of The Cult" were recently reissued on CD by Divebomb/Tribunal Records. 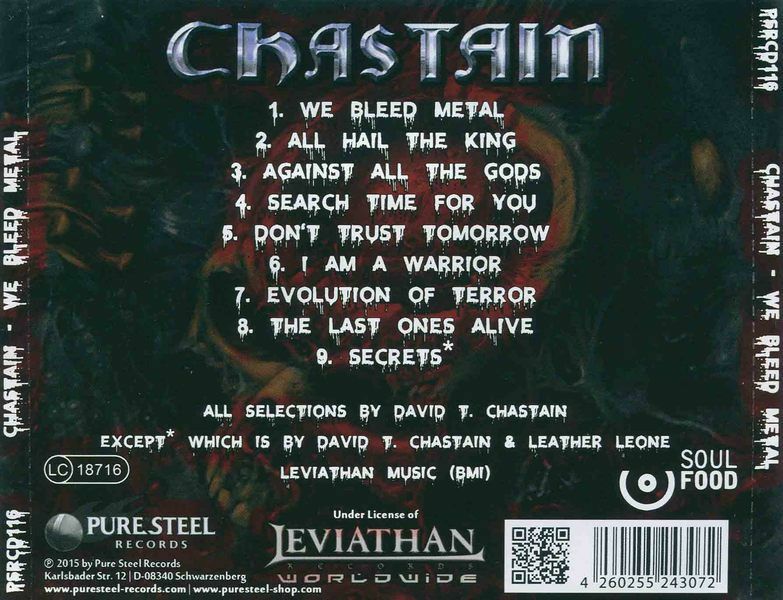 These reissues were nicely redone with new mastering, packaging, interviews, old reviews and more.The "uncut" version of CHASTAIN's comeback album, "Surrender To No One", was made available on digital format on Leviathan worldwide.The Leather-fronted version of CHASTAIN recorded five CDs in the mid-to-late 1980s: 1985's "Mystery Of Illusion", 1986's "Ruler Of The Wasteland", 1987's "The 7th Of Never", 1988's "The Voice Of The Cult" and 1990's "For Those Who Dare". After the "For Those Who Dare" tour, David and Leather amicably went their separate ways but kept in touch over the years before reuniting in 2013.Leather in 2012 released the debut album from her SLEDGE LEATHER project, "Imagine Me Alive". The CD was inspired in 2010 when Leather called Sandy Sledge to collaborate on the Ronnie James Dio track "Egypt" for a demo tribute recording. Due to the overwhelming response for more material, SLEDGE LEATHER was born and performed at Germany's Keep It True festival in April 2011.